Two women are murdered every week in the UK as a result of domestic violence. The issue affects one in four women and one in six men at some point in their lives. Domestic violence also has more repeat victims than any other crime and costs the public £23 billion every year. And of those victims who have received hospital treatment for domestic violence injuries, 400 will go on to commit suicide within the year. Such statistics are shocking, but what they don’t tell us is how many additional victims suffer from emotional abuse, which is another form of domestic violence. Emotional abuse is not regarded as a criminal offence in adult relationships but it is just as destructive to victims’ mental health, as a review in The Lancet revealed. It affects their self-esteem, emotional well-being, relationships with others and personal freedom. Emotional abuse features across the entire spectrum of domestic violence. It can take the form of destructive criticism, put-downs and name calling, but also isolation, harassment, monitoring behaviours, and lying to a victim and their friends and family. It may also go hand-in-hand with sexual abuse. But because emotional abuse is not a “crime”, its victims find it especially difficult to receive protection or even to be taken seriously by others at all. Research suggests that this may also be because emotional abuse lacks the public and political profile of physical and sexual abuse. Unlike victims of these crimes, emotional abuse victims may not seek help because they are unprotected by the law. The government hopes to address this lack of support as it introduces a new domestic abuse law later this year. This will criminalise the emotional abuse which underlies many abusive relationships. Emotional abuse is a common occurrence affecting a fifth of intimate partner relationships. Despite far-reaching effects, there is a surprising lack of research on emotional abuse in adult relationships. At present, emotional abuse does not receive the attention from researchers and health services that it needs to enable victims to be recognised and professionally supported. So, where do people go to receive the support they so desperately need? If victims are not protected by the law, if they are misunderstood by family and friends, and support from health services is lacking, then to whom do they turn? 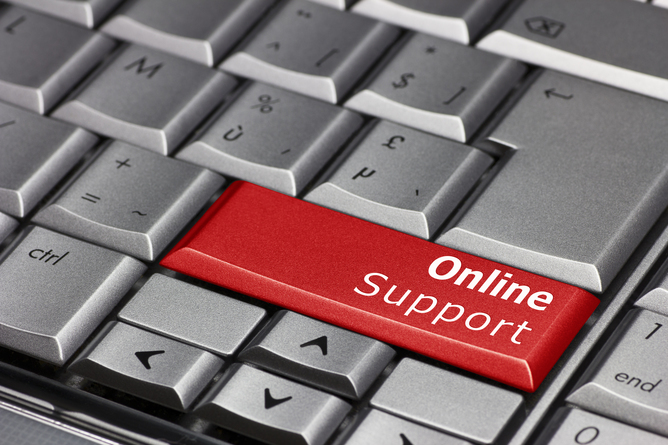 In the digital age, one obvious place to look for support is online. Through numerous online forums, “victims” of domestic violence become “survivors” who seek the emotional support from others they lack elsewhere in their lives. As with forums for patients with long-term conditions, these websites offer common components of support. This comes in the form of sharing experiences, seeking and offering advice, comparing coping strategies, and signposting to professional resources, as well as simply letting users know they are not alone. Another of the more interesting uses of these forums is discussion of the perceived personality disorders of abusers, such as antisocial personality disorder and narcissistic personality disorder. But rather than focusing on the perpetrator’s issues, forum advice commonly concerns the victim’s self-protection. This makes sense because these personality disorders are typically thought to be resistant to professional treatment. Many of these forums have been created by “expert survivors”. These people have escaped and recovered from emotional abuse, and now aim to support others by sharing their experiences and creating a platform for others to discuss their own. Crucially, alongside nearly all of these forums is some form of psychological education in the form of blog posts or other websites with information about how survivors can be helped in the longer-term. There are multiple ways these forums may help victims or survivors of emotional abuse, but further research is needed to explore these mechanisms more fully. It may be that support from an online group validates victims’ experiences and empowers them to safely confront or leave their abusers. They may feel protected by an anonymous online identity as they confide in sympathisers about the abuse, perhaps for the first time. One way to describe these insightful and empathetic forum users is as “enlightened witnesses”, who help others understand and accept their experiences and regain their independence. And with online forums, this support is instantly available. Advice and coping strategies may help victims rebuild their confidence and increase their self-efficacy. Their self-worth may increase as they realise they are not to blame for the abuse. As well as reducing feelings of isolation, a shared perspective may also develop compassion, friendship and humour. So how can these “survivor forums” contribute to the services provided by health professionals? As a starting point, they give victims a voice that could help highlight needs unmet by the health service. But they could also give health researchers another way to study the nature, prevalence, language and outcomes of emotional abuse, and the coping and exit strategies survivors find to be most effective.